Having dental caries, more commonly known as cavities, is one of the top public health concerns of not just adults, but kids too. According to the Department of Health, 92.4% of Filipinos have them. What is more alarming is that 97% of Filipino children suffer from cavities too. Students who suffer from cavities aren't only experiencing pain and discomfort, but may also perform badly in school. Toothaches, developed because of the buildup of cavities, is the most common cause of absenteeism among school children. Popular ventriloquist/puppeteer Wanlu brought out Nicolo, one of his famous puppets, for the Choose to be Hapee with Hapee Kiddie caravan tour. Brushing our teeth has become such a usual part of everyone’s daily routine that we often forget the importance of doing it properly. Like most things, it’s better to do them right as young as possible. 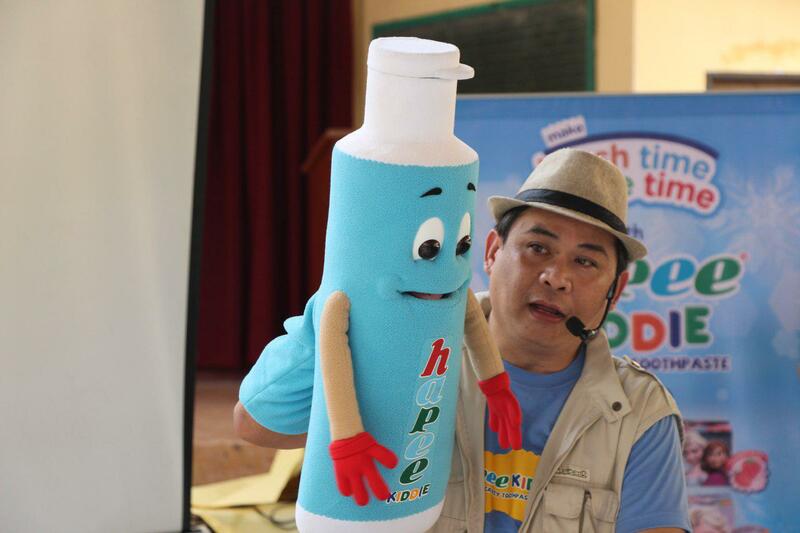 That is why Hapee Kiddie launched their Choose to be Hapee with Hapee Kiddie school caravan with the goal of teaching our kids how to properly brush their teeth. With the tour’s unique and informative approach to teaching oral care, it showed the children that brush time need not be as dull. Wanlu is accompanied by Hapee, as they talk about the importance of brushing their teeth. 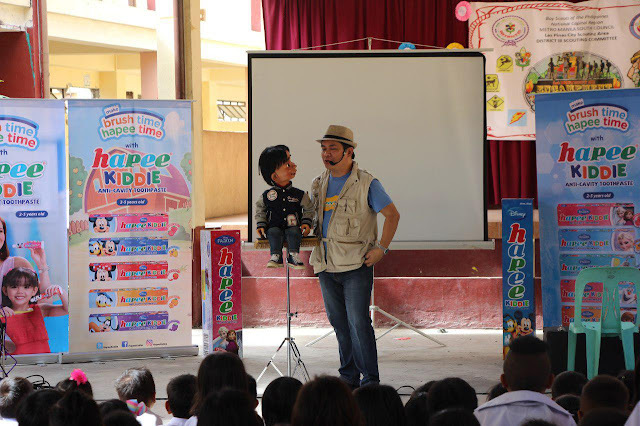 One creative way of educating children about their oral care is through a puppet show, led by renowned ventriloquist, Wanlu and his trusty puppets, Nicolo and Hapee, where they further educated the students with their witty yet informative banter. Schoolchildren participate in the engaging activities of the school caravan by signaling two when asked for how many minutes they should brush their teeth. “Every moment in the caravan was memorable to me. The kids even hugged the puppets after the show, especially happy. I think puppeteering really is a more creative and effective way of communicating with the children. In fact, you can see in the faces of the children that they really understand what’s happening and what the puppet is talking about because they react to what the puppet tells them,” shared Wanlu, who recently won the Ventriloquist of the Year in Asia awarded by the US-based International Ventriloquist Association. Kids were taught how to properly brush their teeth through fun demonstrations. 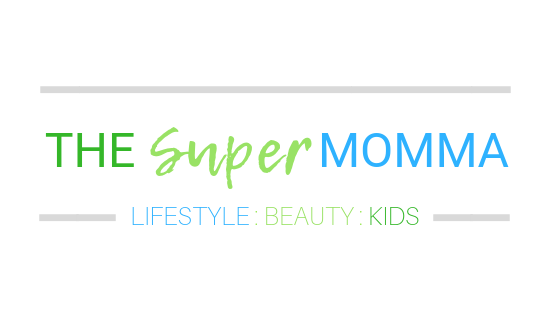 Through the Hapee Kiddie Toothy Tale videos, they learned to brush three times a day using a pea-sized amount of toothpaste and then brush for two minutes with circular motions. They then tested their newly-acquired knowledge with engaging games, where they were able to nab prizes! 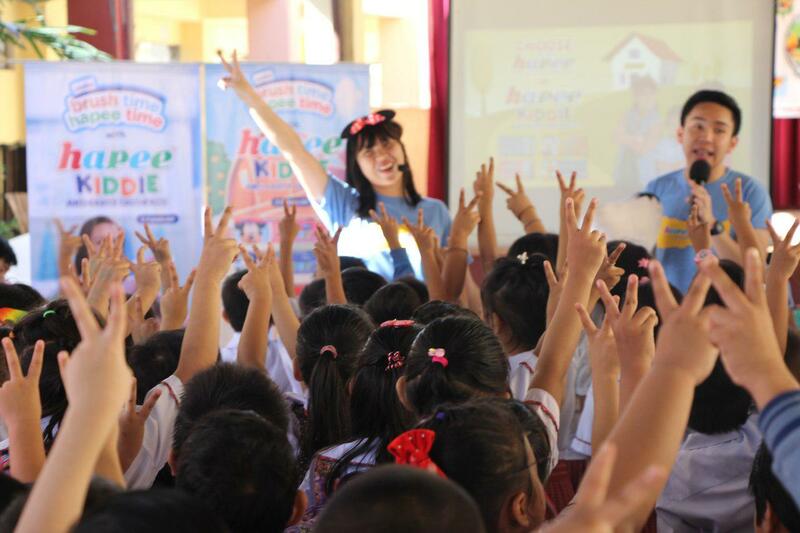 Choose to be Hapee with Hapee Kiddie school caravan, tours all across Metro Manila, bringing joy and spreading happiness to nearly 4,000 young kids aged 5 to 7 years old in 15 public and private schools. To find out more about Hapee Kiddie activities and updates, visit Hapee Kiddie’s Facebook page at www.facebook.com/HapeeKiddiePH.